The Dividist Papers: Dear San Francisco, It's not our fault we have an incompetent buffoon for Sheriff. 62% of us voted against Mirkarimi. Blame Ranked Choice Voting. In the name of all that is good and holy, let's fix this. - Thank you for your attention to this matter. 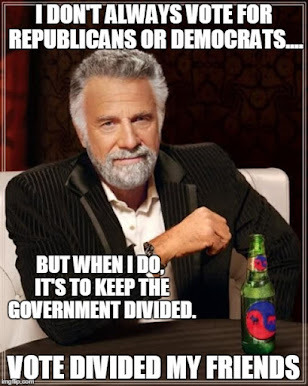 It's not our fault we have an incompetent buffoon for Sheriff. 62% of us voted against Mirkarimi. Blame Ranked Choice Voting. In the name of all that is good and holy, let's fix this. - Thank you for your attention to this matter. Apparently there are people who are still intending to support our incompetent, unqualified, national embarrassment of a Sheriff (I mean, people beside his wife Eliana). No... really... I have it on good authority that there are people who are going to vote for him. I know. Weird. One would expect that Sheriff Mirkarimi might have a tough time getting reelected given his record, but this is San Francisco. So who knows? Give him credit - he is actively courting some previously overlooked constituencies to his cause. First, he's locked up the Criminal Illegal Immigrant Vote, who flock to San Francisco's Criminal Sanctuary City status. Expanding on this previously untapped criminal voting block, Ross Mirkarimi recently appealed to the domestic San Francisco criminals for their vote. He is fighting to eliminate bail for indicted criminals in San Francisco and release arrested crooks from jail before trial. Political genius. With San Francisco's booming crime wave, this could very well be the swing vote needed to put him back in office. "Mirkarimi is not one of my favorites. Who knows what damage he'll do to the Sheriff's Department. We probably should start on the recall petitions now." "In the Sheriff's election I've no doubt that in a 2 way runoff our completely unqualified sheriff-elect Ross Mirkarimi would have lost to either the 2nd or 3rd place finishers who split the qualified vote and did not campaign in tandem to defeat Mirkarimi. Others disagree. That is the point. Nobody knows, because voters were denied the opportunity to make a clear, simple unambiguous choice between the top two candidates." "Like Jean Quan in Oakland, Ross Mirkarimi's election was a triumph for Ranked Choice Voting... "
"Cunnie and Miyamoto split the rational vote with 55% of votes cast. Under the confusion of and vagaries of RCV, Mirkarimi is elected Sheriff even though 62% of first choice votes were cast against him. If there was a follow-up "top two" runoff election, he has no chance of becoming Sheriff. But there was no runoff election. Welcome to Ranked Choice Voting in the People's Republic of San Francisco." 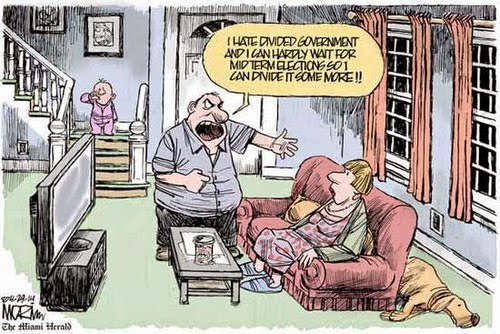 They say you get the government you deserve. But I say the City of San Francisco is getting a bum rap. It was the confusion and game-playing of Ranked Choice Voting that put Mirkarimi in that preposterous uniform. 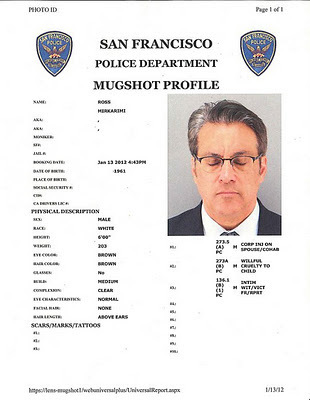 Ross Mirkarimi is not qualified to be dog catcher and is an embarrassment to the City. Blank or Anybody else on the planet except Ross Mirkarimi. VERY IMPORTANT! UNDER NO CIRCUMSTANCES SHOULD YOU ENTER ROSS MIRKARIMI'S NAME FOR FIRST, SECOND, OR THIRD CHOICE!